Over 200 Dallas high school students and 40 chaperones filled the auditorium inside Jackson State University’s College of Business on Tuesday, July 31. The group was part of the Legacy Tour – “Standing on the Shoulders of Greatness” hosted by Dallas Mayor Pro Tem Dwaine Caraway, who has ties to the JSU community. The visitors were treated to a dynamic and informative presentation by the Department of Undergraduate Recruitment, the Office of Enrollment Management, JSU student ambassadors and members of the MADDRAMA theatre troupe. “It’s all about building bridges and building connections especially when it comes to recruitment,” said Keiona Miller, assistant director of Undergraduate Recruitment. She explained the importance of the University capitalizing on the contacts that alumni and others have outside of the capital city. “We’re always going to reach out and try to develop that relationship. We have to stay on the minds of these young people. It is an investment in the future,” she said. The group spent several days touring places like Selma, Alabama; Alabama State University, Tuskegee University, and the Mississippi Civil Rights Museum. Jackson State served as their last stop before returning to Texas. It is Caraway’s ninth year heading the tour. He explained that the idea came to him while driving through the streets of Dallas. “I had a 16-year-old young man with me, and he had never seen downtown Dallas. That disturbed me,” he said. According to the mayor, the teenager had yet to venture beyond his crime-ridden neighborhood, which prompted Caraway to create a program that would enhance and elevate African-American youth. “I wanted to show them that there is something greater in the world for them,” he said. 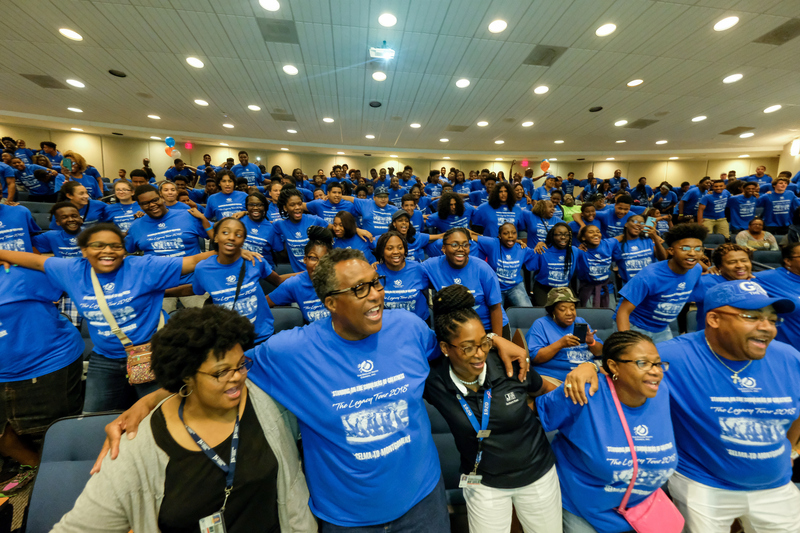 Caraway, who changes the theme of the tour each year, chose “Standing on the Shoulders of Greatness” as the latest motif because he wanted students to learn and understand the efforts of those who paved the way for the liberties experienced today.